A few days back OnePlus launched its latest flagship smartphone OnePlus 6T with a new design and few more features. Even after a few changes, the phone fails to offer a meaningful upgrade to the OnePlus 6. But it is certainly better than OnePlus 6 in few things. 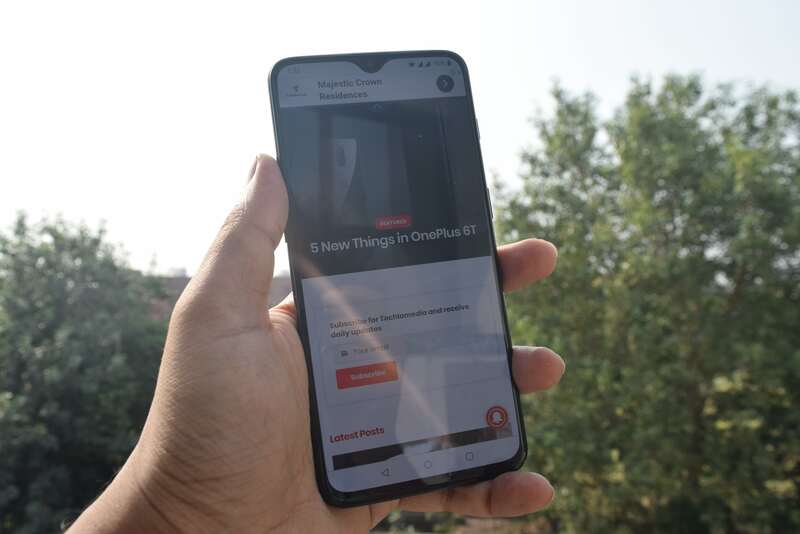 If you are thinking to buy this new OnePlus 6T, read the full review first before you make any decision. With OnePlus 6T, the company has made few changes in the design to give users more screen space. The phone has a slightly larger display and a tiny water drop notch that is less-intrusive. Vivo, Oppo, Realme, and Huawei already have phones with a similar notch. So, there is nothing new to praise. This tiny notch house 16MP selfie camera, along with the full array of traditional sensors. 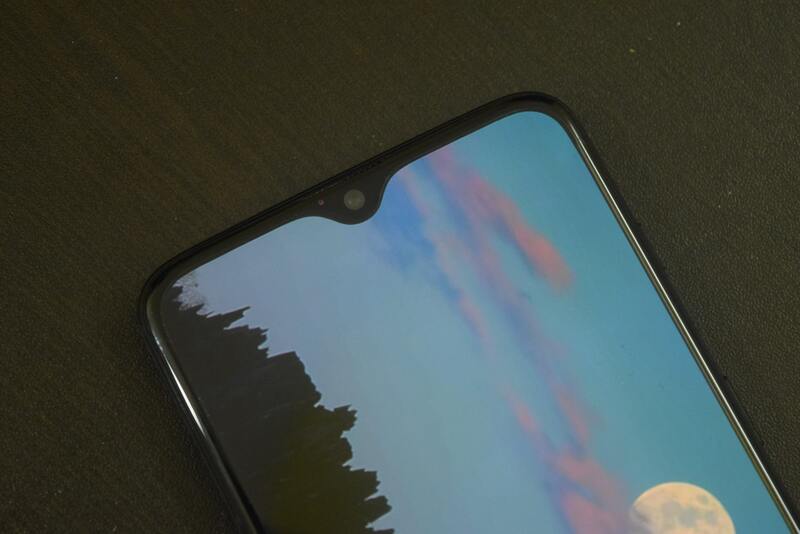 The bottom bezel is also thinner than the one we saw in OnePlus 6. The phone is also 0.4mm thicker and heavier by 8 grams. The phone has a curved glass back and comes in two colors: Midnight Black and Mirror Black. I have the Mirror Black that shines much and attracts fingerprints and smudges. 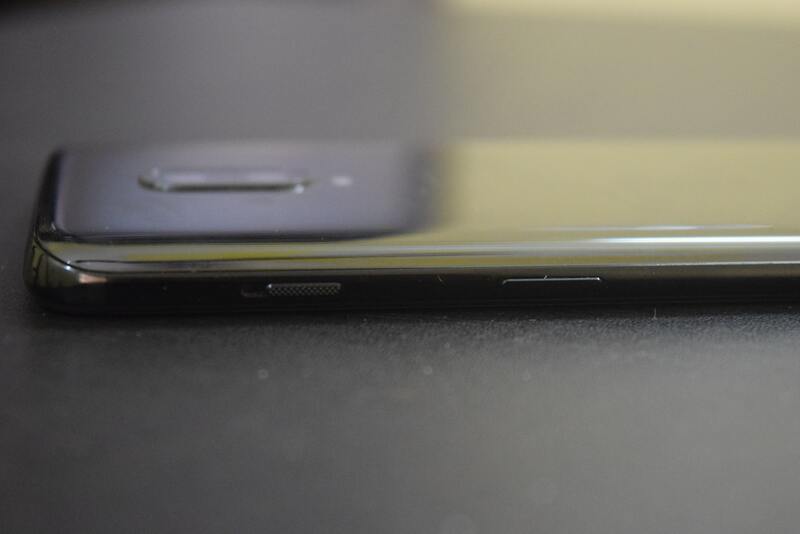 There is no sign of fingerprint sensor on the back because it has moved to screen. The phone features an under-display fingerprint sensor that is big slow but a futuristic tech to go with. The phone also packs a bigger battery. The physical alert switcher is on the right side along with the power button. Volume rocker along with SIM slot sits on the left. The base side has USB-C port and Speaker. 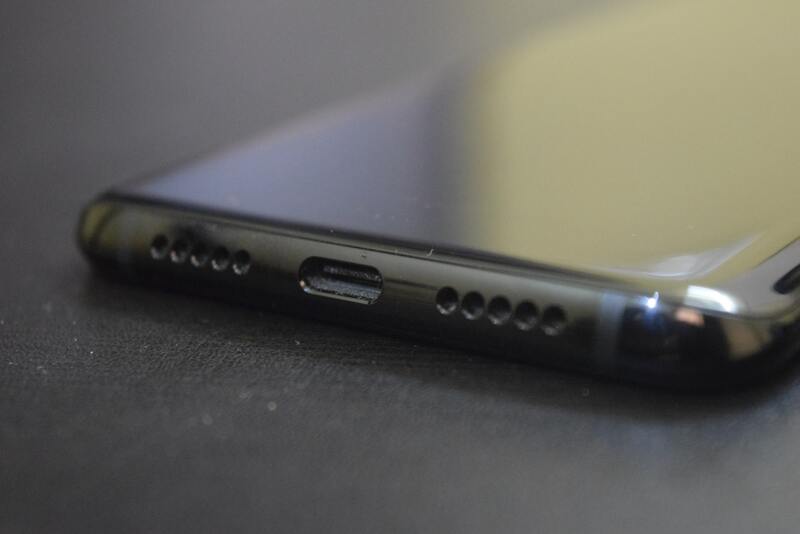 OnePlus has also dropped headphone jack that disappointed a lot of fans. The company has given the headphone jack adapter in-box to keep your wired earphone alive. OnePlus has still not included any IP rating. They just claim it to be daily water-resistant. The 6GB variant just comes in Mirror Black option. This one is too slippery and It is advisable not to use without any case or cover. The good thing is that you get a transparent back cover within the box. 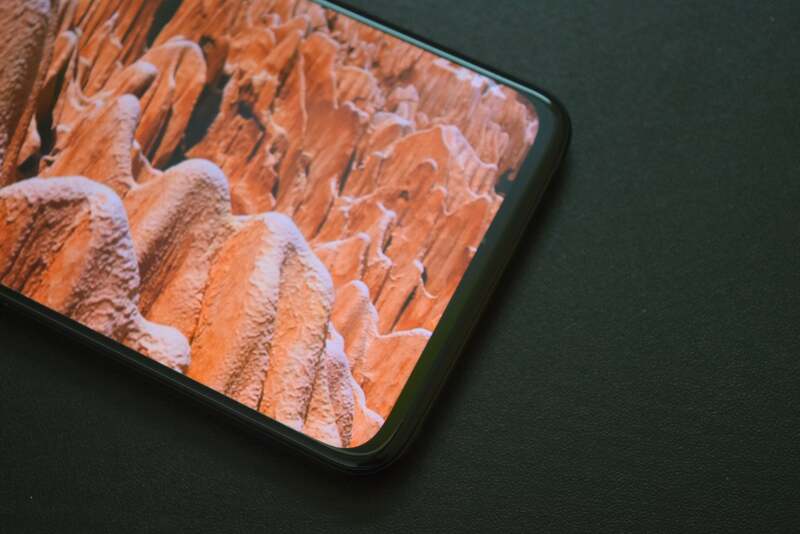 OnePlus 6T features a bigger 6.41-inches optic AMOLED display that is also the biggest display OnePlus has ever put on a phone. This display will surely satisfy media-lovers and gamers. The display has a full HD+ resolution where videos run on full screen. The viewing angles are large. The outdoor legibility is good, but it could have been better. The display supports full DCI-P3 wide color gamut and you have the option to select from different screen calibration options. OnePlus has also added Night Mode that is basically a blue light filter and a reading mode that simply makes the display monochrome. If you do not like notch, you can hide it completely. The phone lacks notification LED, so the company has added an Ambient display. You can select how you want this to be visible. You can enable double tap to wake the screen, pick the phone to wake screen or wake screen when you receive a new notification. The company has also integrated an under-display fingerprint sensor. A fingerprint icon appears on the lock screen when you lift it up. Putt your thumb there to unlock the phone. This feature sounds cool and we have already seen it in a few Vivo phones. Being true, this is slower than traditional fingerprint sensors. It is also not much accurate and sometimes refuses to unlock the phone. You need to put the thumb properly for unlocking. When you put the thumb to unlock, it shows cool animation. The company has added three different animations to choose from. OnePlus is known for offering a clean and solid Android experience with its Oxygen OS. The latest version of Oxygen OS based on Android Pie is also similar and offers snappy and near-stock Android experience. The always-on display is no more, but there is an Ambient display that you can set to pop up when you tap the screen or pick up the phone. OnePlus did lots of meaningful tweaks in latest Oxygen OS. This custom UI is smooth and doesn’t affect the performance in any way. By default, it shows on-screen navigation but you can switch to gesture navigation. Swipe up from the bottom center for the home screen, swipe and hold for recent tasks and swipe up from either side to go back. 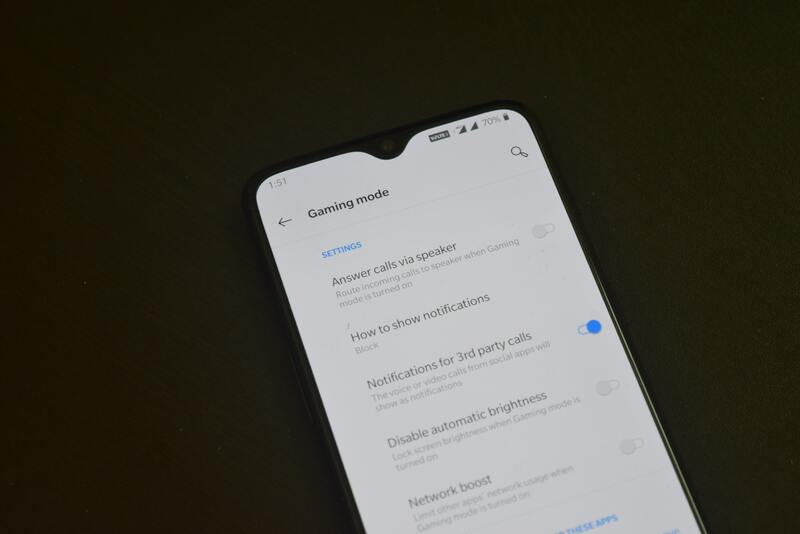 There are also several other gestures like draw < or > for previous/next track, two-finger swipe to pause and assign an app to the letters O, V, S, M, and W.
Oxygen OS also features Gaming mode that off distraction-free gaming experience by giving you control over notifications, calls, and brightness. The most notable software enhancement is the Smart Boost that claims to boost the start-up time of apps. As compared to OnePlus 6, I couldn’t notice the change as claimed. I even found that few apps now take a bit larger time in opening. OnePlus 6T packs 2.8 GHz octa-core Snapdragon 845 processor with 6GB and 8GB RAM options. I tested the 6GB RAM model and it really performs well. The phone performs well during different benchmarking tests. The real world performance is also really good. Switching between apps is fluid, video streaming is smooth and phone didn’t show a sign of lag even if there are numbers of heavy apps open in the background. The phone also performs really good at gaming. The dedicated gaming mode ensures that notifications or calls don’t affect your gaming experience. You can also limit the background network usage of other apps and optimize CPU, GPU and memory performance for your gaming. I tested several high-end games and found the smooth lag free experience. Even after a long gaming session, the phone doesn’t really heat and battery drain is also normal. The phone ditches 64 GB storage option and starts at 128GB in the base model. The phone doesn’t support a microSD card, so having large storage option is better. The 128GBstoragee is more than enough for a normal user. The phone has the same camera setup as in its predecessor. It has a dual 16/20-megapixel rear setup with wide f/1.7 aperture and PDAF along with OIS and EIS. It has a 16-megapixel sensor at the front with EIS. Even if the hardware is the same, the company has made software enhancements to offer better HDR and low-light performance. The camera app has quick toggles for flash mode, self-timer, and aspect ratio. There is still a 2x zoom option. It hs few modes including Panorama, Pro mode, Slow motion, and Timelapse. The OnePlus 6T can record both 2160p and 1080p at either 60fps or 30fps. It can also record 720p slow-mo at 480fps. I have posted a dedicated camera review of OnePlus 6T. You need to read that to know more about the camera performance of OnePlus 6T. The company has dropped the 3.5mm audio jack and phone now supports type-C audio. Even with a good wired earphone, the sound output falls average. 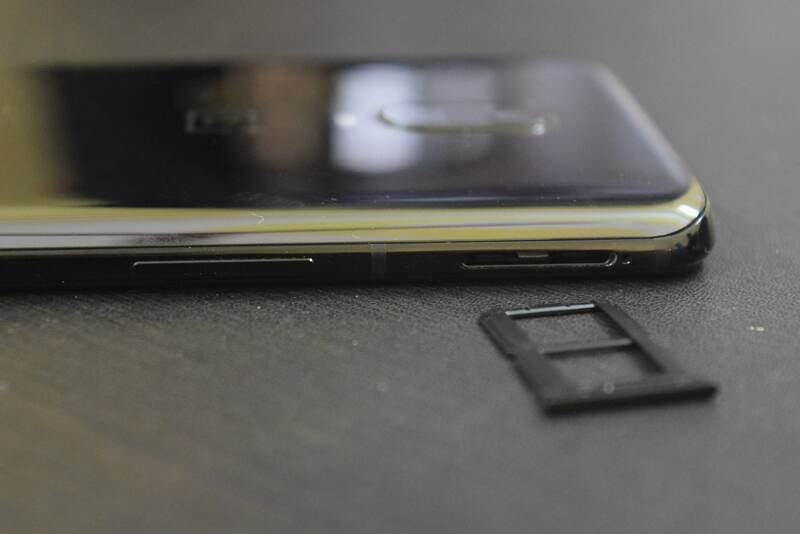 The phone has a bottom-firing single speaker unit. It is loud and produces a clean sound. 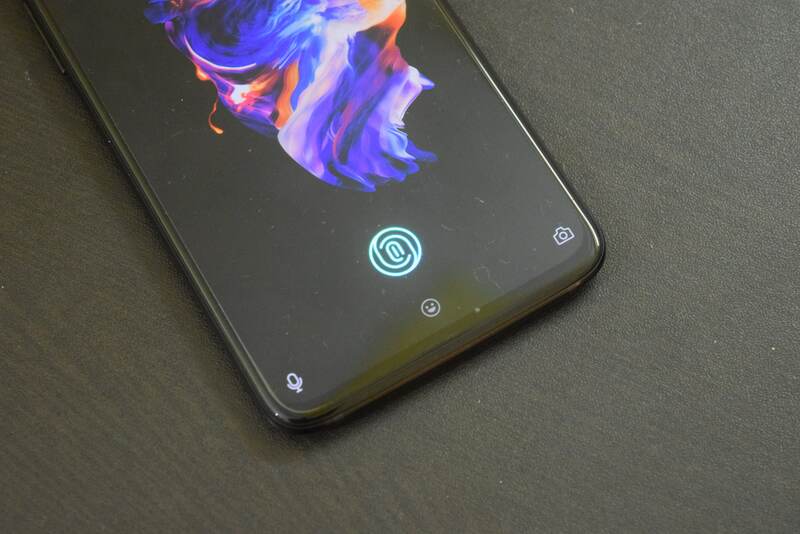 The sound has been tuned differently than in OnePlus 6 and OnePlus 6T’s speaker performs better. The earpiece is also loud enough, so you have proper sound during calls even if you are at a noisy place. Connectivity options of the phone include 4G VoLTE, WiFi 802.11 ac (2.4GHz + 5GHz), Bluetooth 5, GPS + GLONASS and USB Type-C. All these options work well and I didn’t see any issue in them. I use a Jio and a Vodafone SIM. Network reception is fine and everything works well. OnePlus 6T comes with the larger 3700 mAh battery that performs better and getting a full usage is easy. If you are not a power user, it will last even more. I got over 6 hours of screen on time and over 25 hours of backup while testing the phone. I was traveling and my usage included mostly social media, music streaming, Maps navigation, and web browsing. In ordinary days, it could cross 7 hours of screen on time easily. So, the battery back of the phone is impressive. The phone is also really fast in charging due to its impressive flash charge (formerly Dash Charge) tech. The 30 minutes of charging takes the phone from 0 to 54% and a full charge in about an hour. The phone certainly offers good display, powerful performance, good camera, and longer battery life. Still, there is no stereo speakers and no official IP rating. The company has also ditched the headphone jack. OnePlus 6T is a good phone that doesn’t disappoint but I am still not convinced why the company has gone up in pricing. The under-display fingerprint sensor looks interesting, but not a feature that could force you to upgrade. Overall, the phone is a brilliant package for no so expensive price. If you are OnePlus 6 user, there is no reason to look at the OnePlus 6T. 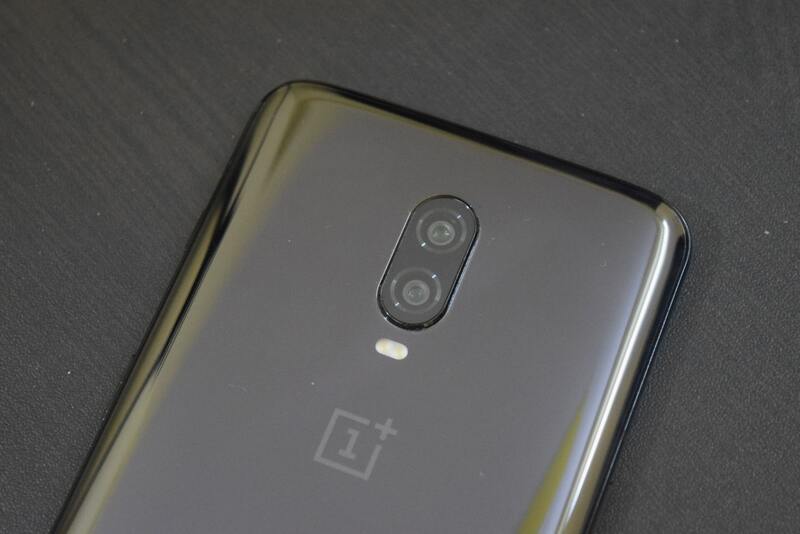 The notable software changes in the camera are already available for OnePlus 6T. If you ask me a cheaper but competitive option, Poco F1 is my recommendation. It doesn’t look premium, has an LCD panel and not as good cameras, but the phone certainly offers powerful performance, water repellent body, faster and secure face unlock. That will also save your INR 17000. Vivo Nex, Asus Zenfone 5Z and LG G7 ThinQ are also some good options on cheaper price. 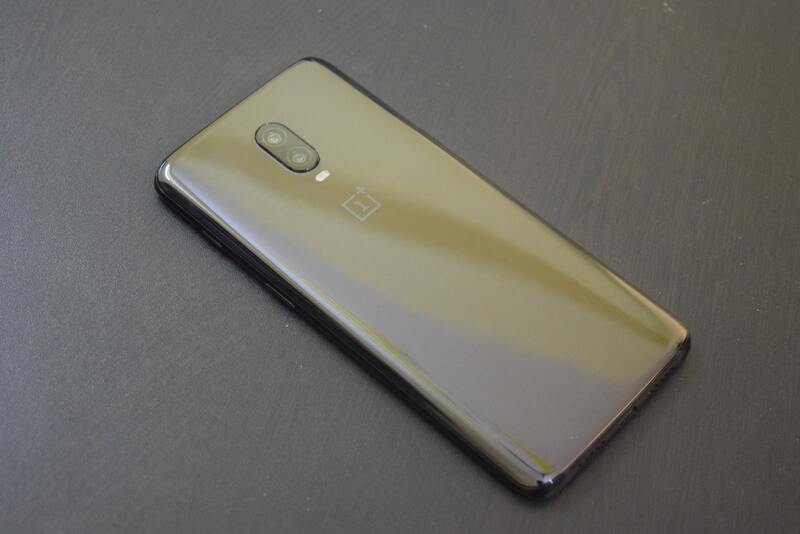 "OnePlus 6T is certainly a good phone that packs everything you would like to have in a flagship phone. But I am still not convinced why so much hype."